Gasoline isn’t just used to fuel our cars! It’s used to fuel many household appliances, including lawn care equipment, power washers, snow blowers, boats and motorcycles. Sometimes we forget how powerful and dangerous gasoline can be because it’s become such a large part of our every day lives! Gasoline vapors are heavier than air and will move closely to the ground. The vapors can ignite with violence if they reach an ignition source, such as a pilot light, a cigarette or a spark. Shut off your vehicle engine at every service station. If you’re storing a portable gas container, store only a 30-day supply, but not more than one gallon in an approved safety container. 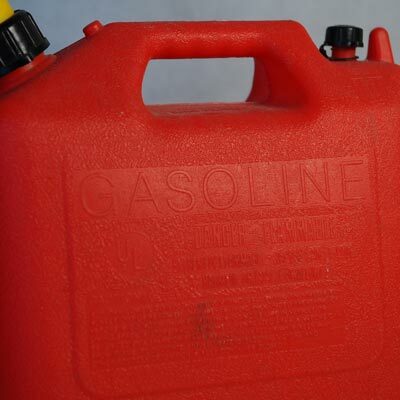 Never store gasoline in plastic containers. Store gasoline in a cool, well-ventilated area. Store gasoline at least 50-feet away from any source of heat or open flame. Never use gasoline as a cleaner. And always keep gasoline out of children’s sight and reach!